LOS ANGELES—Millions across the planet expressed astonishment and exasperation earlier today, saying they no longer had any idea who to admire following beloved film actor Tom Hanks’ brutal Wednesday morning murder spree that claimed the lives of five. “Okay, honestly? Tom Hanks now?” said Los Angeles woman Marie Irvine, 43, echoing the voices of millions of human beings worldwide who reported being devastated by recent events like Oscar Pistorius’ murder trial, Lance Armstrong’s doping admission, and new accounts confirming that the Forrest Gump star strangled a family of five in Burbank before sitting down on their couch and calmly waiting for the police to arrive. “I literally don’t know who I’m supposed to look up to and revere at this point. Who are the good, respectable people in the world again? 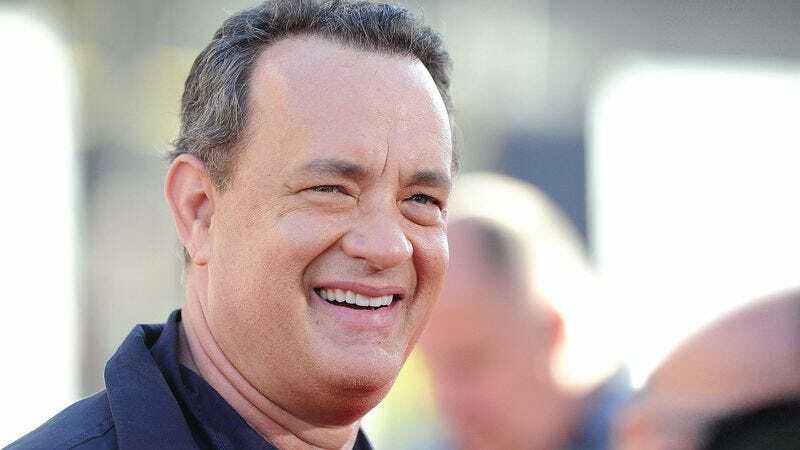 Because I was pretty much down to just Tom Hanks before this happened.” A majority of people reported feeling even more let down by Tom Hanks’ series of homicides considering they had already forgiven the actor for a 2006 drunk driving rampage that killed 12 children.